What would it take for your artistic voice to better flow? Inflow / Afflux is a multidisciplinary community arts residency program presented by ArtsPond / Étang d’Arts. Emerging and mid-career professional artists, curators and producers from diverse disciplines and cultures in Toronto are invited to submit proposals by September 14, 2018. Through sustained collaboration and shared learning, participants will be empowered to bring innovative projects to fruition while building audiences and bolstering their capacity as leaders of the next-generation of arts and culture in Toronto. The full presentation of Inflow / Afflux is contingent upon the receipt of funding still to be announced. The following is a call for expressions of interest to be included in upcoming funding applications prior to a desired project launch in Winter 2019. Inflow / Afflux is envisioned as a safe harbour where new creative inspiration may be sourced, nurtured, pooled, and given life-enriching form. 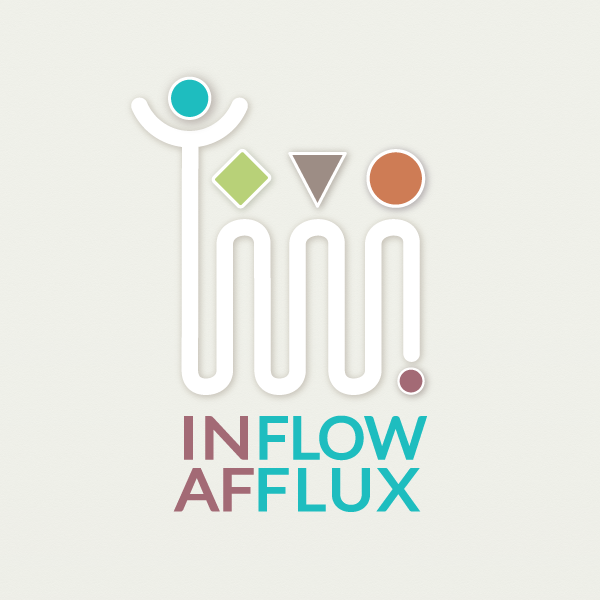 Inflow / Afflux invites creative visionaries from diverse surroundings to tap into, and share with the public, where the meandering energies of their vital tributaries originate and flow. Inflow / Afflux is an 18-month creative residency program. This timeline is designed to develop the capacity and profile of emerging and mid-career professional artists, curators, educators, and producers from diverse regions, cultures, and artistic disciplines in Toronto. Successful applicants will become Associates of ArtsPond / Étang d’Arts, working together to secure resources and develop the skills and tools necessary to complete their chosen projects. Throughout the residency, Associates will have the opportunity to grow their creative practices while collaborating with other participants and receiving sustained creative mentorships from senior local artists and administrative support from ArtsPond in production, outreach, fundraising, marketing, financial management, governance, strategic planning, and more. With access to the shared not-for-profit resources and learning provided by ArtsPond / Étang d’Arts, artists will bring one or more creative projects to fruition while developing the skills and support that will help them nurture a successful, life-long career in the arts. Inflow / Afflux invites proposals for both small and large-scale projects leading toward public events of varying complexity. Associates may choose to share their completed project(s) as standalone events in their community, or as a part of Infuse, a community-engaged, multi-arts production presented in Toronto by ArtsPond / Étang d’Arts in 2020. These projects will be commissioned by ArtsPond / Étang d’Arts. Participating artists are requested to submit proposals for new community-engaged art works to be produced and presented as a part of the residency in a downtown Toronto park, such as Christie Pitts, Trinity Bellwoods, High Park, or Lisgar Park. The artists are encouraged to propose the projects that are viable in one or more of the mentioned parks though the final selection of location will be decided by ArtsPond / Étang d’Arts. Inflow / Afflux is conceived as an incubator for creative projects of all shapes and sizes, and to empower artists to explore their most ambitious inspirations. Individuals and collectives committed to producing vital work on a non-profit basis are eligible to apply, including New Generation, New Canadian, Rural/Remote, Francophone, Indigenous, Disability, 2LGBTQ+, and other diverse groups. Artists with a devotion to investigating unexpected creative hybrids and fluid collaborations are encouraged to apply. Professionals working in traditional, modern, contemporary, multidisciplinary, integrated, and community-engaged practices are eligible to apply. Eligible artistic practices include the visual, performing, media, literary arts, craft, and other new and emerging forms. OWNERSHIP: Artworks and exhibition rights must be available for the duration of the residency. Artworks will remain property of the artist. The artist grants ArtsPond / Étang d’Arts sole rights to presentations of the work for the duration of the residency, and a period of one year following completion of the residency. The artist shall recognize ArtsPond / Étang d’Arts as the producing organization for the original artwork at any future presentations of the work. COPYRIGHT: The artist warrants that the artwork is an original work of the artist. The artist is the sole owner of a valid and subsisting copyright in the artwork, and such copyright has never been assigned, transferred, encumbered, or otherwise affected by the artist. REPRODUCTION: The artist grants ArtsPond / Étang d’Arts the right to record and photograph images and video of the artwork for the purpose of documenting the project as well as for educational and promotional purposes. The artist acknowledges that casual photography of the artwork by visitors will be permitted. ArtsPond / Étang d’Arts may also use the artist’s comments, descriptions, and other communications, together and in connection with the use of the artwork, as well as in association with related educational materials, prior to, during, and following the residency. Any reproduction for the purpose of sale would be arranged through separate contract. The artist will make themselves available with reasonable means to respond to media inquiries on the artist’s point of view in relation to the artwork.